Springtime means that fresh spring veggies are finally in season and ready for all of us to enjoy (at the best prices they will be all year!). Asparagus is a favorite around our home. This year I’ve made a little asparagus patch in my new perennial veggie and fruit garden that I’m working on so mine aren’t quite ready yet but luckily it grows wild in the ditches. Asparagus can be one of the more tricky vegetables to cook with. Not because of it’s flavor but rather because of it’s odd shape and texture. 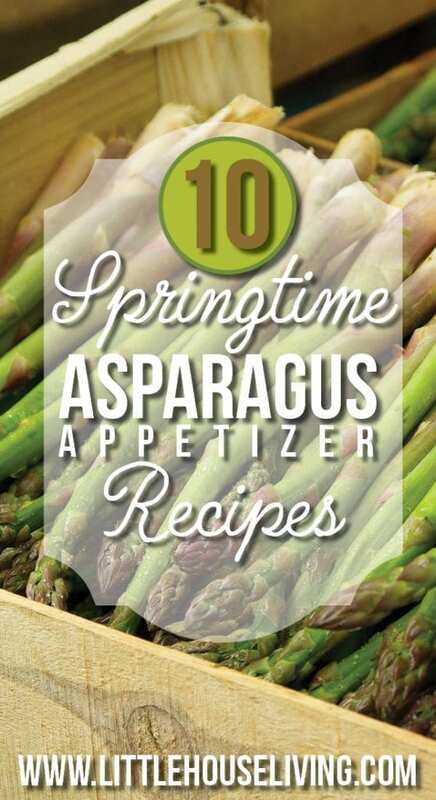 Today I’m sharing this wonderful list of delicious Asparagus Appetizer Recipes with you so that you have a variety of dishes to choose from the next time you want to make it! 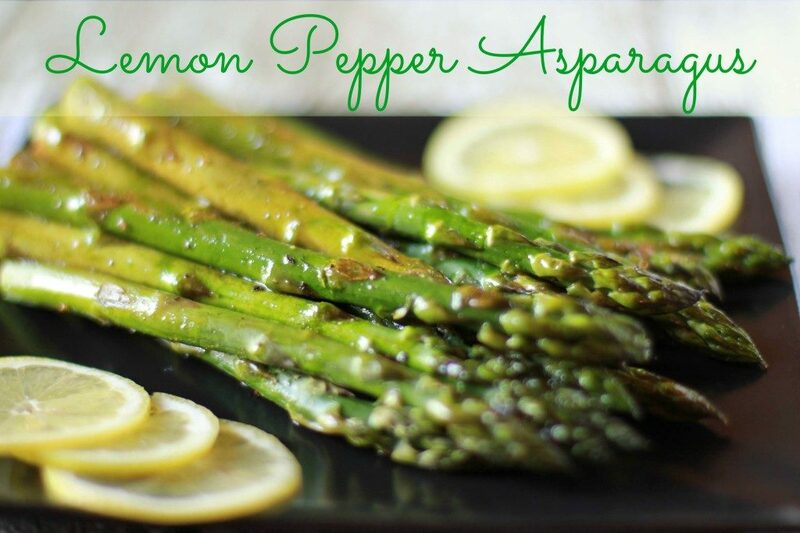 Lemon Pepper Asparagus is a very simple way to cook up your asparagus with a splash of flavor. 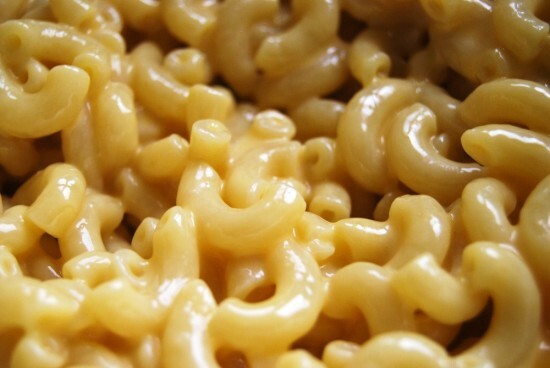 I love this recipe because it really only uses 3 main ingredients. So simple! Roasting Asparagus is probably my favorite way to make the veggie because it really seems like it brings out the best flavor. 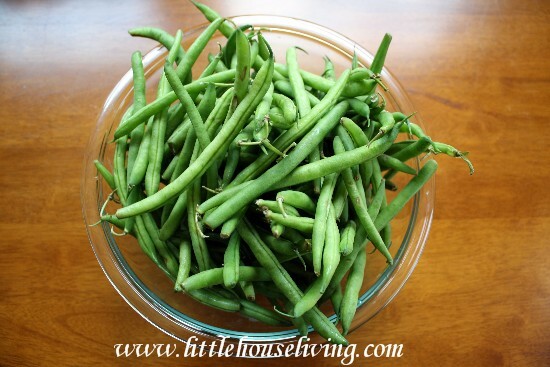 Plus it’s another dish that you only need a small handful of ingredients for! 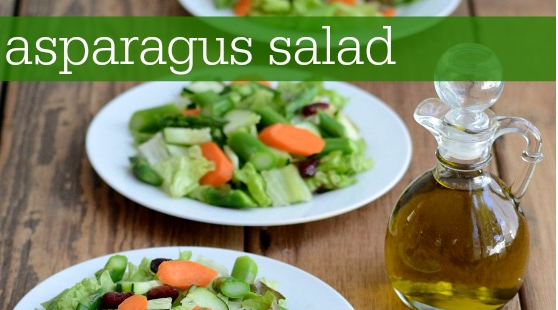 If you are like me and crave fresh and cool veggie dishes in the spring and summer, you might enjoy this recipe for Asparagus Salad. 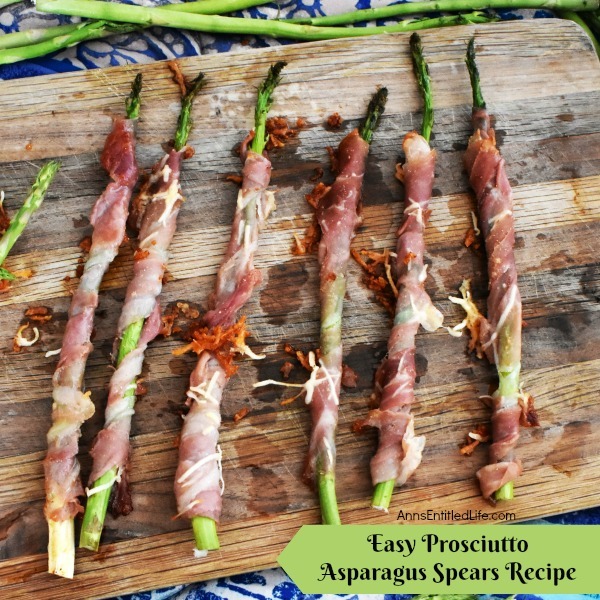 If you are looking for a salty appetizer fix, these Easy Prosciutto Asparagus Spears might be a great recipe to try. 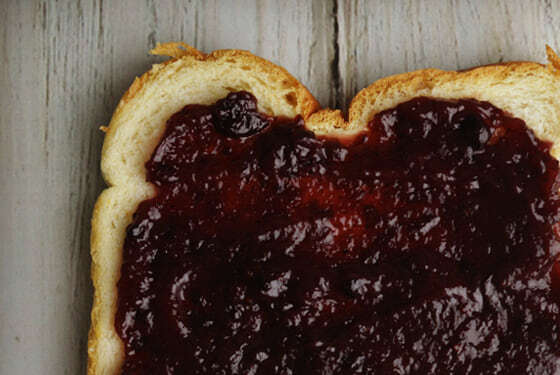 You only need 5 ingredients which means you know it’s going to be easy. Who can say no to yummy crispy pickles? 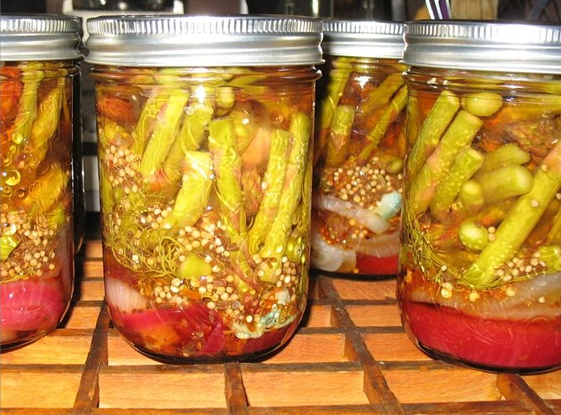 If you have more asparagus than you can eat right away, you can always make Asparagus Pickles. 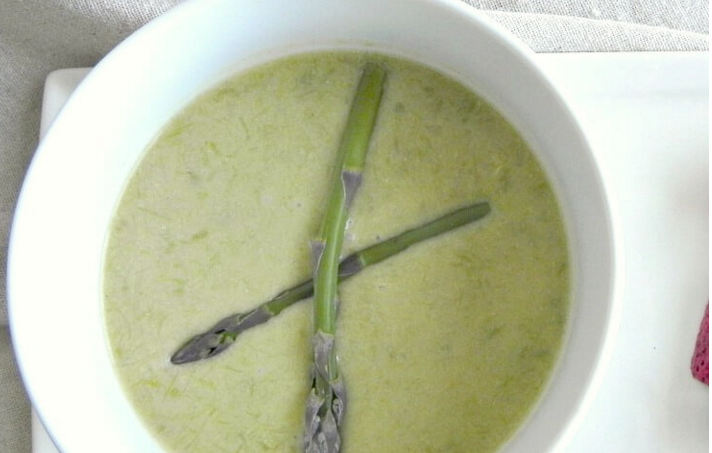 If your family enjoys a soup appetizer, they might like a bowl of Cream of Asparagus Soup. 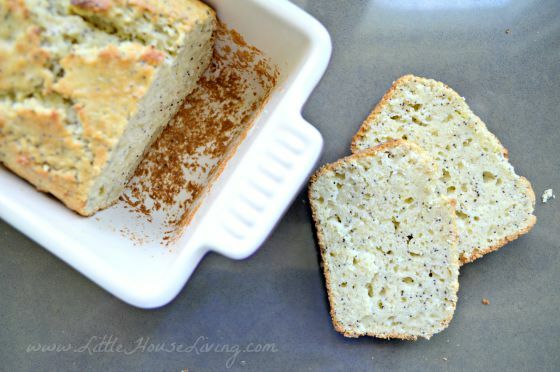 The recipe only uses a few basic ingredients that you probably already have in your pantry. Here’s another delicious asparagus recipe that could be used for either an appetizer or a full meal. 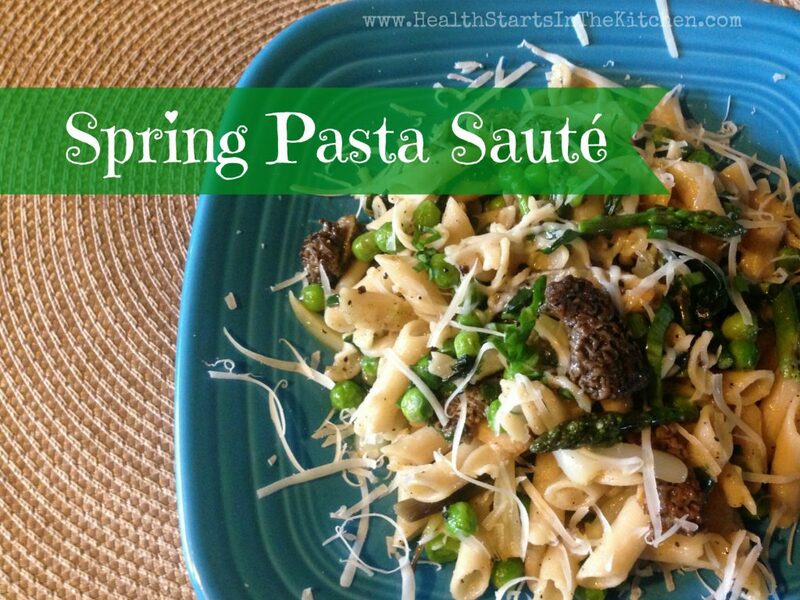 This Spring Pasta Saute includes asparagus and several other delicious early spring veggies. 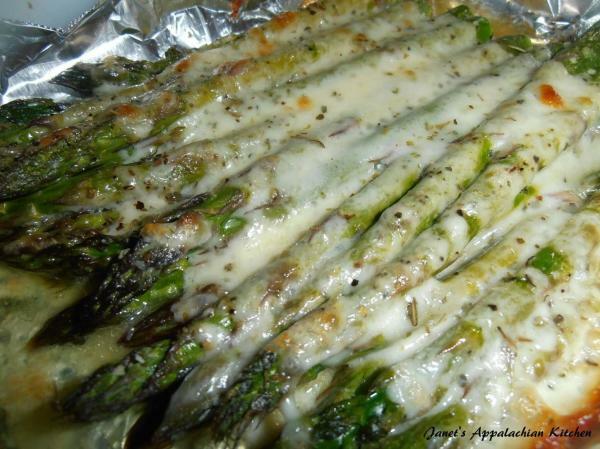 If your family loves anything with cheese on it, they might enjoy this Cheesy Baked Asparagus Appetizer! I love that it only needs 5 ingredients. 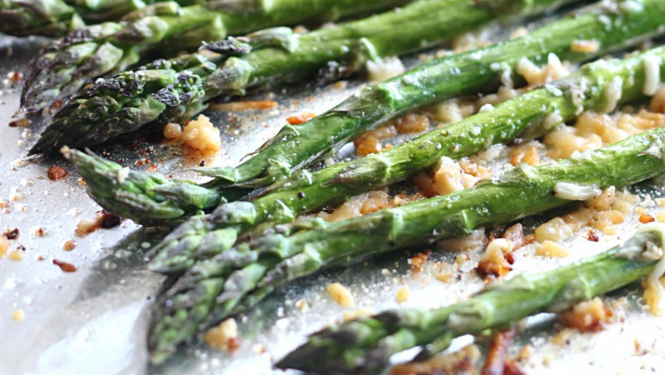 I will eat just about anything with garlic on it so this Garlic Parmesan Asparagus is the perfect appetizer for me. With just 3 ingredients plus a bit of salt and pepper, this appetizer can be made quickly! 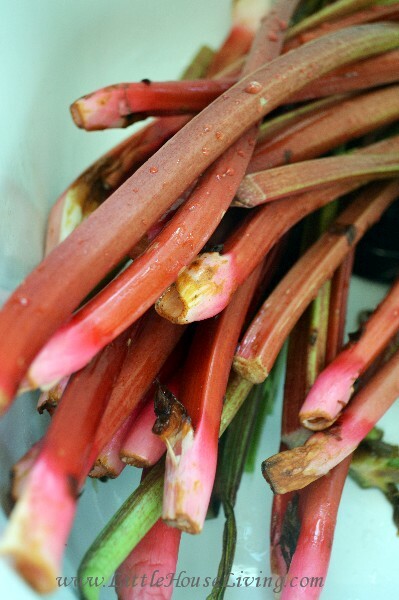 If you want to get in a dose of veggies and fruits in one easy appetizer you might want to check out this recipe for Strawberry Balsamic Asparagus. 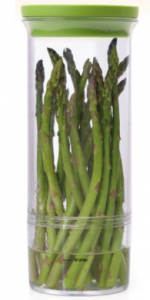 If you are having trouble keeping your asparagus fresh in the fridge until you have a chance to cook it you might want to look into one of these simple Asparagus Keepers. You can also use them to stock fresh herbs until you need them but they work great for fresh asparagus as well. 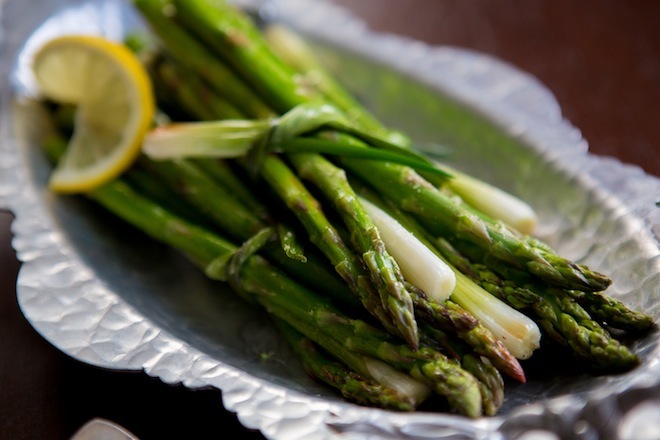 What are some of your favorite ways to cook asparagus and what are your favorite asparagus appetizer recipes? What great ideas! I usually roast, but I’m thinking I could use some new ideas. 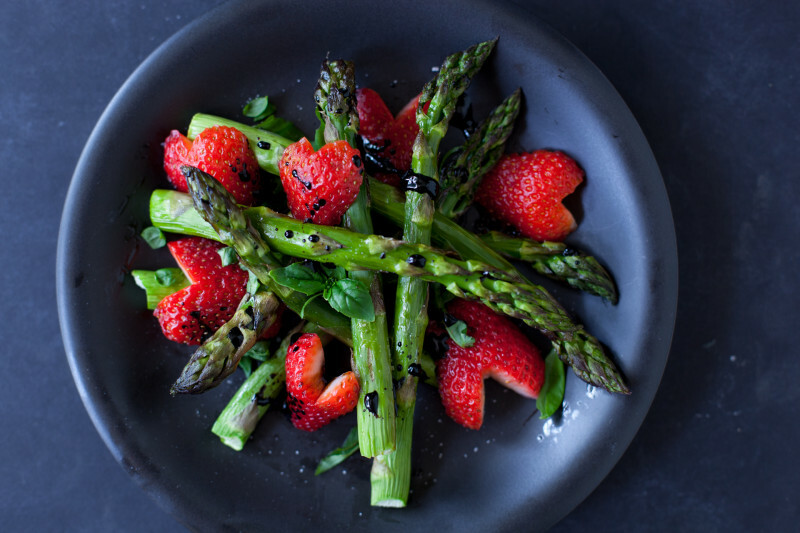 🙂 The balsamic strawberry asparagus looks especially interesting! My go to recipe when the first asparagus comes out is creamed on toast. Love it for breakfast, lunch or supper. I grew up with that dish every spring, but mom add chopped boiled egg to the cream sauce…Creamed eggs on top of asparagus….so delicious!! Tastes a lot better than it sounds. Love these ideas – there is not a link for the Quinoa Pilaf – with asparagus. Do you have a specific recipe that you like?